Global human society is a group of people living together in an ordered community which features an interdependent network of human relations. In the Human Society, there is a Network of Regularities with Complex Multi-Parameter Influence, which we will temporarily and hypothetically refer to as the Laws of Humanity. Innovation goal. The material presented will attempt to stimulate a discussion on the existing, new and future regularities and hypotheses, and human (and extraterrestrial) society. Strategic goal. The material presented is an auxiliary tool for analysing and forecasting world events. It concerns Global Regularities in superlarge systems. The work is meant to aid the Rulers of Great Countries and the lovers of Global Theories of Humanity. In the future, the material can be a lawful tool for the legal solution of international problems. Humanity functions purposefully, according to the effective laws in human society. Science and humanity develop intensively and at an accelerating rate. We will put forward for discussion the most important laws in human society as formulated by us. The regularities existing in humanity can be initially grouped into 5 laws, which can be used to explain the processes operating between people. The first and most important law is the Law of Humanity’s Development. According to it, Humanity is constantly developing and improving. The second most important law is the Law of Humanity’s Safety. According to it, Humanity uses and creates methods and means of guaranteeing its existence. The first and the second laws are the most important laws of humanity. According to the third law, the Law of Positioning Humanity, Human society is grouped in areas. According to the fourth Law of Humanity’s Governance, Human society is governed by hierarchical structures. According to the fifth Law of Humanity’s Cyclicity, Human society moves along a recurrent life cycle: appearance, development, destruction. The emergence of laws of future, modified human societies has also begun. The first anticipated type of modifed human society is the Genetically Modified Society. The second anticipated type of modified human society is the Hybrid Society. The third anticipated type of modified human society is the Futuristic Society. Perhaps the first sub-law in modified societies will be “Do not harm your creators”. According to the first Law of Humanity’s Development, “Humanity is constantly developing and improving owing to a permanently improving algorithm which controls human society”. With the birth of human society, a special algorithm (algorithm: a system of consecutive actions and instructions leading to the solution of a task and the achievement of a desired goal) was created, developed and improved in order to store, control and perfect humanity. It was conditionally called Filipi (for instance, the Filipi-start-00 algorithm controls the human embryo for nine months in the mother’s womb). The Filipi algorithm has the following functions: self-organization, self-development, self-improvement, self-optimization, self-regulation, self-generation and similar functions. You will recall that originally, at the time of the creation of the Universe, the Logic function appeared first, followed by the Memory function, both of them claiming to be designated as Divine Functions (Divine Functions: “symbolic” functions with absolute possibilities, so far possessed by God only). The Logic and Memory functions are the two most important functions in the Universe. These functions lie at the basis of the creation of the Filipi algorithm. Later, the algorithm developed and turned into a complex and universal method of developing humanity. There are several sub-laws which clarify the main law. Sub-law of humanity’s constant development. According to this sub-law, we assume that there are two main periods in the development of humanity: the Natural Period in Development and the Artificial Period in Humanity’s Development (Table 1). First, natural perod in humanity’s development. Approximately 5 million years ago, the first hominids appeared. Some of the familiar hominids were Australopithecus, Номо habilis, Homo erectus, Homo neanderthalensis, as well as modern man called Homo sapiens. The first Homo sapiens fossils found in Africa date back 142,000 years. The first five million years of man’s existence on planet Earth have been marked as the First, Natural Period in Humanity’s Development. During the natural period of humanity’s development, man’s EVERYDAY LIFE consisted of two constantly recurring activities: Food seeking and consumption activity and resting activity (including sleep). During the first period of humanity’s development, man was Effortlessly satisfied with the food provided by nature. Most of the day, man was busy searching for food and consuming it. The majority of the animals on earth do not store food supplies since they obtain their food fresh, in its natural state, from their surrounding environment on a daily basis. There are a few animal species which store a minimum amount of food due to the existence of climate periods. The stored food is not exchanged (traded) intentionally; it only serves to satisfy their biological needs. Second, artificial market period in humanity’s development. The second period in humanity’s development was made up of two stages reflecting the most characteristic functional features of its progress. Due to natural reasons (climate, migration, agriculture), man began to possess food that could be stored. Approximately 10,000 years B.C., mankind started to put aside and store food for the first time, as a result of which the so-called food SURPLUS appeared. Subsequently, this food would be exchanged (and later traded) purposefully among people. We will point out that the appearance of such Food Surplus generated general changes in people’s lives. It was a point of inflection in the technology of people’s lives. The trade in food and commodities brought about radical changes in the relations between people. The “leaping” development of humanity started with the Surplus appearance and changed humanity’s algorithm of life and development. In the future, this Surplus will also be designated by its function, i.e. REVOLUTIONARY SURPLUS. The Surplus gave rise to the need for Exchange of Values, and a function called Trade emerged. Trade appeared around 6,000 years B.C. and was originally based on an exchange (barter) principle for commodities and services. Trade was performed through the so-called Markets. The emergence of markets indicated the beginning of the second, so-called Market Period in Humanity’s Development. Trade and markets shaped the so-called First, Barter Stage in the Market Period of Humanity. Trade required a valuability criterion and thus led to the emergence of modern physical metal and paper Money. This was the Second, Monetary Stage in the Development of the Market Period of Humanity. Money was a new type of energy that society could not function without. Money evoked the feeling of Power, hence the possibility arose for the formation of Absolutism and individuals called Rulers. The appearance of Rulers marked the beginning of the Third, Corporate Stage in the Market Period of Humanity. Coporations united into Mega Corporations. Mega corporations participated in the so-called Global Actions. With the expansion of Global Actions, the Fourth, Global Stage in the Development of the Market Period of Humanity began. The global stage gradually conquered the world. The management of the global stage passed from a group of rulers to one, Absolute Ruler. With the appearance of the Absolute Ruler, the Fifth, Absolute Stage in the Market Period of Humanity started. The Absolute Ruler had a monopoly on the absolute energy of Money, the governance of the World and anything he could wish for. Money became the absolute parameter for the world’s governance. According to the Sub-Law of the Aggressive Development of Humanity, “Human society develops at an accelerating rate, without limitations, and constantly creates new products and technologies through which it can achieve any goal”. The developments and achievements of humanity are formally marked by the so-called World Technical Revolutions (the world is currently in the act called Fourth World Technical Revolution). Technical revolutions develop by Multiplication. The period of transition between technical revolutions constantly decreases. With the aggressive development of humanity, the technologies and methods created reach the Quasi-Divine Functions level (quasi-divine functions: functions which have fantastic abilities close to those of Divine Functions). 1.2.1. Sub-sublaw of the degree of humanity’s initiative and aggression. According to the sub-sublaw of the degree of initiative and aggression, “The degree of initiative and aggression of a certain human strand is proportional to the degree of development of that strand.” Human society’s aggression is directly related to the degree of human society’s development. According to the Sub-Law of Accelerating Humanity’s Development through Partial Liquidation Elements, “Each new (public, political, economic, etc.) Platform aims at accelerated liquidation and destruction of the (old) platform preceding it.” The means of developing the new platform and liquidating the old one depend on the historical stage in humanity’s development. Historically, the means used were originally physical, then mental, later economic, and in the future, therapeutic, genetic, remote, virtual and other liquidation means will be used. The liquidation objects will most often be in the form of groups which used to be active in the (temporally) preceding platform, or have specific genomes. Methods and instruments for humanity’s development. Humanity’s development makes itself visible through the emergence of specialized technologies. Technologies are sets of instructions for the achievement of a certain goal. Methods and instruments are created for the implementation of technologies. The need for the creation of constantly improving technologies leads to the appearance of special incentives for the perfection of the Filipi algorithm. A self-generating incentive for the improvement of humanity’s technologies is the creation of Conflicts in Society – the conflicts stimulate the generation of methods and instruments for humanity’s improvement. If this logic is normal, conflicts are the engine for humanity’s progress. Efficient methods of humanity’s development include: Inter-Company Competition, Aggressive Development of Technologies, Creation of Geopolitical Engineering and Scenario Units. A method of humanity’s development is the creation of Quasi-Divine Functions. Some of the Contenders for quasi-divine functions today are Money, Internet and other means and technologies. According to the second law, “Humanity uses and creates methods and means of guaranteeing its existence.” The individual’s safety is the main parameter in human society. The improvement of the humanity development algorithm causes a constant increase in the means of humanity’s safety. Humanity has natural and artificial methods and means of ensuring its safety in the surrounding environment. The natural means of safety include fear, reaction towards negative sensations, etc. The artificial methods and means comprise physical barriers, hardware and software protection, means of attack and defence. Humanity requires the creation of solutions for its Biological as well as Material Safety. 2.1 Sub-law of preventive safety. Humanity creates proactive technologies and means of human society’s safety. Preventive safety demands the creation and implementation of proactive solutions and actions aimed at man’s safety. The development of science and technologies necessitates constant development of the means of safety so that the negative usage of humanity’s new achievements could be prevented. One of the preventive safety solutions includes man’s remote control through different technologies and the insertion of suitable chips for real-time control of people. 2.2 Sub-law of strategic safety. A significant type of safety is the existence of a large number of destructive tools and the fear that they might be put to use. Attack tools play a constraining role. 2.4. Sub-law of escalating safety. Science creates technologies and means of safety which are absurd for humanity and can cause significant discomfort. According to the third law, “Human society is grouped in strands”. The technology of life requires that humanity be united into families, groups, communities and strands. Today, humanity is united in three main strands: Humanity from the ‘Alpha Global Strand, Humanity from the ‘Beta Global Strand’ and Humanity from the ‘Gamma Global Strand. The Alpha and Beta strands are conditionally related to territorial involvement, whereas the Gamma strand is not connected with any particular territory. The Alpha strand owns industrial capital having the West as its provisional territory. The Beta strand owns industrial capital with the East as its provisional territory. The Gamma strand owns financial capital without any specific territory (a provisional territory humorously called Shiratonia). The Alpha, Beta and Gamma strands are curently in confrontation but in the future their interests may partially converge. The division of humanity into strands motivates and contributes to its aggressive development. According to the fourth law, “Human society is governed by hierarchical structures”. 4.1. Hierarchy of humanity’s governance. Human society is governed by four hierarchically situated structural levels. The first level is Public (Administrative) Governance. The second one is Specialized (Strategic) Governance. The third level is Absolutized (Quasi-Divine) Governance. The fourth one is Hypothetic (Divine) Governance (Table 2). 3 Absolutized ‘Quasi-Divine’ Global positioning Rulers, Leaders of the Alpha, Beta and Gamma areas, etc. The first level is the Administrative Level which serves mainly the everyday norms of humanity’s life. It is built by regional and state structures. The second level is the Specialized Level which creates the concepts, strategies and norms of people’s behavior. It consists of the so-called Initiated Individuals. Only a part of the Initiated Individuals are public figures. The third level of governance is the Absolutized Level, and it governs Planet Earth globally. The people participating in it are those having a significant degree of influence, as well as leaders of the Alpha, Beta and Gamma strands, in order to coordinate the security of their actions on a higher hierarchical level. The fourth level is the Hypothetical Level, and individuals with Divine functions participate in it. There are Natural and Artificial methods of humanity’s governance. 4.2.1. Natural self-governance. Currently, humanity is governed through the Filipi natural algorithm. 4.2.2. Artificial governance. With the development of humanity, the artificial governance of human society also occurred. The beginning of artificial governance was set by the liquidation of physical money and the start of electronic payment. With electronic payment, the unified and centralized governance of man’s life in real time is now possible since Money is the “Absolute Energy” that man cannot exist without. Every moment, every step and position of man will be followed, controlled and limited by energy. There will be criteria for humanity and each individual, who will use a limit of Absolute Energy in order to meet them. If people cannot meet the criteria and limit set, they will have to give way to people who have real abilities, and this can be achieved by reducing and optimising mankind. Gradually, electronic payment will turn money from a financial instrument into an instrument of influence meaning ”Degree of Influence”, and will acquire “Hierarchical Money” as a unit of payment. Hierarchical money will appear when there is significant influence of the individuals on the third, Absolutized Governance level. We suggest that hierarchical money be called Fil. One Fil will be equal to degree of influence upon 1% of the population on planet Earth, or 1% of the territory of Planet Earth. According to the fifth law, “Human society moves along a recurrent life cycle”. Human society passes through three phases in its life cycle: first phase: appearance, second phase: development, and third phase: destruction. This is compliant and synchronous with the hypothesis of the Great Filter in the Universe and Fermi’s paradox. After the third phase, there is recycling, then the three phases are repeated again. This is the optimum model of human society’s cyclicity. The important moments in humanity’s life cycle are the beginning and end of each one of the three phases, and the motives and causes for their occurrence. The hominids Australopithecus, Номо habilis, Homo erectus, and Homo neanderthalensis completed a full life cycle but there is no universally accepted opinion on the historical development of their life cycle yet. The laws of human society act according to priorities. The law of human society’s development is first in priority. Next comes the law of safety. The third place is occupied by the law of positioning humanity. The law of governance humanity comes fourth. At the fifth place is the law of humanity’s cyclicity. The laws of humanity participate in a hypothetical Model of the development of human society, conditionally called Filipis. Humanity develops constantly, intensively and at an accelerating rate which makes it necessary to activate the laws of safety which give rise to the strands in human society. The reason for the accelerated development of the laws of human society is the intensive development of science in all areas of life. The world was created and is managed by the Synthesizer according to an algorithm generated by him (please refer to Annex 1). According to the Law of Cyclicity of the Universe, humanity appeared five million years ago, it developed, and it could be expected that Homo sapiens is about to pass through his last, Third Phase: destruction. A specific moment in humanity’s development is the appearance of the so-called Surplus. We will recall that the Surplus led to the emergence of Money, and it is a Quasi-Divine function for the Governance of the World, which, consequently, causes the activation of the Law of Safety, and after some development, they will lead to the end of human society. Why did the Surplus appear in human society? There are two hypotheses. The first hypothesis is that the Surplus is a negative cause and main reason for the end of human society and is embedded in humanity’s algorithm. The second hypothesis is that the Surplus is an Unpredictable Error, which has occurred in humanity’s algorithm, and this is an unforeseen cause that will lead humanity to its liquidation. It is essential for human society to determine whether the Surplus is a goal or an error in humanity’s algorithm. If the Surplus is a goal, then we should accept the Synthesizer’s will. If the Surplus is an error, a technology can be sought for the annulment of the error and postponement of the end of the world in time. Science creates fantastic decisions, easily accessible to humanity, which can be used for the positive development of human society or for its destruction. In the future, the access to state-of-the-art scientific achievements with bilateral (positive or negative) usage will be very easy for the planet’s population, and this could cause conflicts with global negative aspects. There will be a danger of uncontrollable intervention in people’s lives (for instance, through teleportation to any point in space via the so-called Quasi-Divine functions. Imagine the discomfort which may occur if an inappropriate individual is teleported at an inappropriate time to the bedroom of a Ruler of a Great Country). The control and limitation over people’s intiatives can be performed in two general ways: through centralized, real-time remote control of individuals, or by reduction of the quantity of the population on the planet. The world is governed according to certain laws and sub-laws through algorithms. There are regularities in human society, the most important of which being the Law of Humanity’s Development and the Law of Humanity’s Safety. The Law of Humanity’s Development motivates the escalation of methods of Humantity’s Safety. The appearance of the Revolutionary Surplus in humanity’s life caused leaping changes in the development of human society. A hypothetical ‘Model of the Development of Human Society’ has been put forward for consideration by humanity. The main dynamic factor in this Model is the constant cyclicity and escalation between the Sub-Law of Aggressive Development and the Sub-Law of Aggressive Safety, which, as they develop in time, exert significant influence on Humanity’s Life Cycle. Humanity moves at an accelerating rate towards its liquidation. If the suggested Model of Human Society is real, nothing can change the development of life on our planet, and we offer humanity our apologies. The most important task humanity is faced with is to decide whether the Liquidation of humanity is an unavoidable action or if there are solutions oriented towards saving human society. With regard to humanity’s development, a hypothesis is gradually formed, i.e. that there is a super function which governs the Universe. There is the hypothesis of the existence of a Synthesizer. This is a generalized notion of super powers, such as Nature, God, Creator, Intelligent Design, Self-Organising System and others, still unidentified notions. Even if this function does not exist, its introduction makes it possible to explain and predict humanity’s development. The Synthesizer should be considered a really existing notion with functions close or parallel to the notion we have been familiar with so far, i.e. that of the Creator. The synthesizer cannot be seen but he makes sure that the world is harmonious and coherent. The synthesizer’s main goal is to fulfil the normal cycle in the world. The world appears, develops and dies. This cycle continues periodically and eternally. In order to complete it, the Synthesizer makes sure that time runs in one direction, from the past to the future, and does not let it run backwards. The Synthesizer is only interested in the direction of the world’s movement but not in the details. All other actions in the world are resultant and self-regulating, and most probably, they are not within the Synthesizer’s scope of attention. The Synthesizer’s topmost and predominant function is the recycling of the Universe. Who created the Synthesizer? There are three hypotheses. The first one is that the Synthesizer created himself. The second one is that the Synthesizer is a NATURAL END PRODUCT of any highly developed civilization. The third hypothesis is that the Synthesizer is a PURPOSEFULLY DESIGNED END PRODUCT of a civilization destined for liquidation. Professor Stephen William Hawking said: “God exists but there has been no evidence of his interference with our lives”. Later, Hawking expressed his doubts concerning God’s existence but in relation to his step-brother’s health problems he once again put forth the issue of God’s existence. We suppose that the Synthesizer exists but he interferes with our lives by stabilizing the Universe and preventing the world (and humanity) from developing backwards in time. LOBBY. In their publications, some world experts support the work on Humanity – Regulations and Hypotheses directly or indirectly. We will quote some of them. 4. Pope Francis. Internet is God’s gift (function, a/n). (Reuters announcement on Pope Francis’ meeting with Apple CEO Tim Cook), 2016. 5. Pierre Teilhard de Chardin. The Human Phenomenon (Le Phénomène humain, Р. 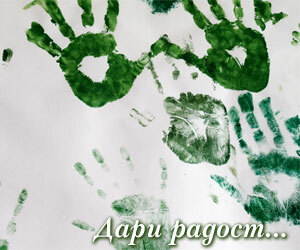 1955), (Man can reach God in his development), (We express our gratitude to Toma Tomov). NOTIONS. Notions first introduced in this material: Filipi, Filipis, Fil, Synthesizer, Divine Function, Quasi-Divine Fiunction, Revolutionary Surplus, Aggressive Development, Aggressive Safety, etc. LAWS: Laws are laws. But there can also be Emotional Interpretations of Laws. For instance, two plus two is four: this is a law. The emotional attitude to this law is that two plus two is five when it refers to a Credit, and two plus two is three when it is about Debit. QUASI-DIVINE FUNCTIONS. In 1963, Serbian scientist P. Kokotovic created the Theory of Structural Sensitivity. According to his work, there is a Unit in the Systems of Units where there is a Parameter which most strongly affects the result (outcome) of the system. The method of structure sensitivity makes it easy to find this unit and its “Most Sensitive Parameter” which exerts the strongest influence upon the system’s final result. The Human Society system is most sensitive to the Financial Instruments (money and others) and Information Systems (Media, Internet, etc.) parameters. Therefore, Money and Internet are referred to as Quasi-Divine Functions. GRATITUDE. We thank everyone who offered their critical remarks to this material. Our personal gratitude for the recommendations made by Velina Marincheva, Prof. Dr Ivan Kanev, Prof. Dr Todor Proychev, Pavel Petrov, eng. Petar Stamatov, eng. Georgi Ganchev, Slavi Slavov, eng. Yordan Mirchev, Prof. Lambadzhiev, Georgi Vachkov, Kamen Lukadinov; and our thanks for the motivation to Toma Tomov, Konstantin Chakarov, Assoc. 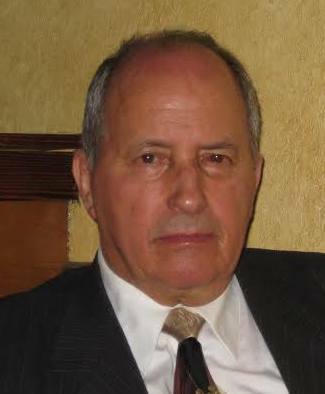 Prof. Dr Ivo Hristov, Assoc. Prof. Dr Valentin Vatsev, Stoycho Kerev, Prof. Dr Lachezar Filipov, Stefan Sofiyanski, Zvezdelina and Ivan Kovachev, and others. CONTACT. For contact, please use [email protected] .